In order to install Audacity, you need to download the program and some extra files. 1. Go to Audacity's web page (http://audacity.sourceforge.net/download/) and click on the "Windows" link. 2. Click on "Descargar" (download). 3. Click on the "Instalador" file corresponding to your Operating System. 4. Select "Guardar archivo" (Save file). 5. When the download operation is complete, double-click the downloaded file (audacity-win-unicode-1.3.12.exe, remember the numbers may change if the file has a newer version) and follow the normal install steps. 6. Your Audacity is correctly installed. Now we need to add one little file that is really useful. 7 . 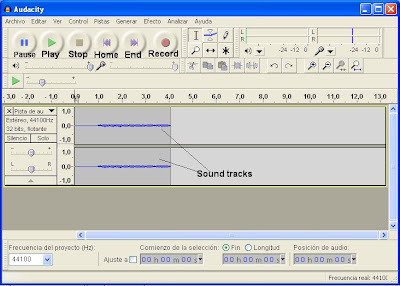 Go back to the "Descarga" (Download) page on step 3 and click on "Codificador LAME MP3", and follow the instructions until you find this file: audacity-win-unicode-1.3.12.exe (remember the numbers may change if the file has a newer version). Download this file. 8. Double-click the file and install it. 9. Now you have Audacity AND you can export Audacity files as MP3. 10. 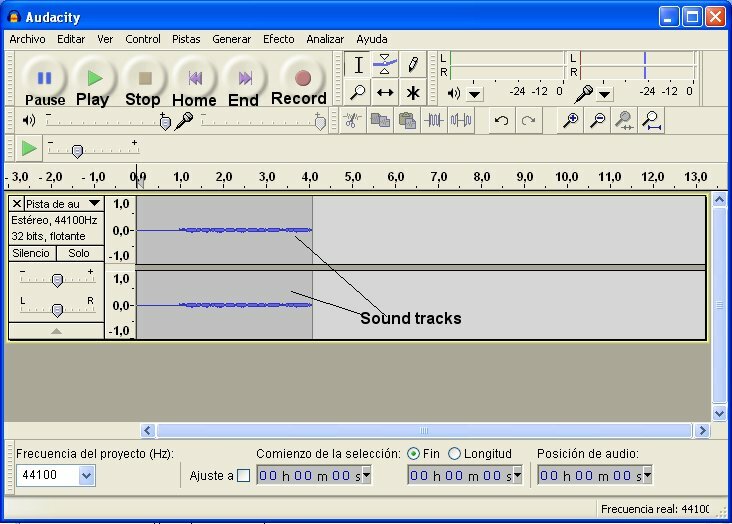 Start Audacity and record a sample of your voice. Click on the Record button and start your sound. When you finish, you can click on the Stop button. 11. Now you have a sound track. You can listen to it by clicking Play. The other buttons (Pause, Home and End) allow you to "navigate" your recorded track. 12. To save a track, click Archivo (File) and Exportar (Export). Save your file with the MP3 type. You can now record sound as many times as you want.